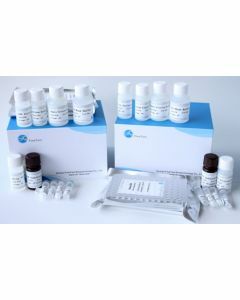 Fine Test | ARP American Research Products, Inc.
Fine Biotech is an ISO9001:2008 Certified Company, offering a full line of quality research kits, which include ELISA Kits, related ELISA assistant reagents and more high quality antibodies, recombinant proteins. Fine Biotech technical support is dedicated to providing its customers with professional and friendly assistance. Strict and multiple quality control ensure that their products continue to successfully supply the international life science market. Fine Biotech strives to continuously improve the customer experience through comprehensive technical support, rapid turnaround, and personal support. All FineTest services are guaranteed.